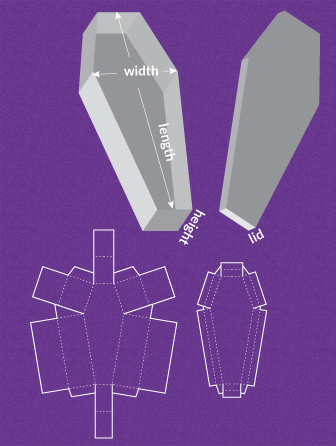 Ever scratch your head wondering how to make a coffin shaped paper box? OK, I haven’t either, but now that I’ve thought about it, I’m curious. 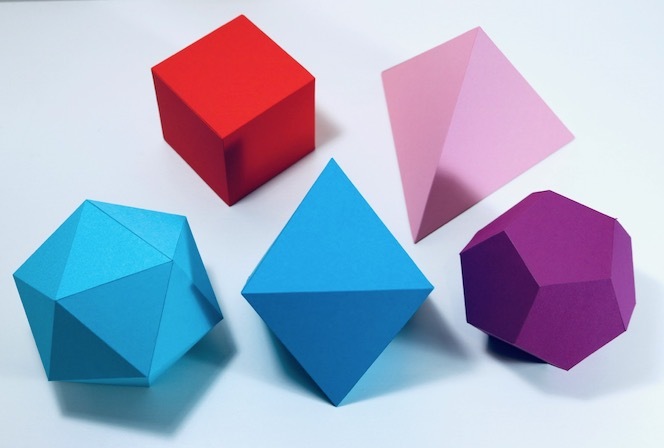 The thing that sparked my musings, about coffin-shaped boxes, paper polygons, “exploding boxes” (no actual explosives involved) and even a paper icosahedron—along with other paper platonic solids—is a fascinating online resource, Template Maker. Template Maker is a mostly-free website that describes itself as a source for custom packaging and papercraft templates for “DIY artists, graphics designers and everyone who likes paper crafts.” I’d add, anyone who teaches geometry, wants new ideas for student projects, or has students whose creativity needs just a bit of a nudge. The templates are dynamic, meaning you can input dimensions to fit any size paper your printer can handle. No accounts to set up or logins required. What more could we want? Of course, if you teach geometry and can’t afford lovely commercial 3-models, this website can be a life saver (particularly if you have some students with good fine motor skills). Want some SOMA cubes? You can print them. But I’d also love to think about students creating projects that fit in a custom-made box, or designing a box that will hold a given volume in an interesting way, or combining shapes into any number of art projects. Take a look. Print some shapes. And if your students do something creative with them, I’d love to hear about it. And about that coffin-shaped box. . . . . Just wait ’til Halloween! « Evidence for the Arts–Thanks, Houston!